On this page you can download NVIDIA GeForce 285.27 Win Vista 7 64-bit. The new GeForce 285.27 beta drivers are now available to download. Filled with performance improvements, fixes, and new and updated 3D Vision profiles, the drivers are an essential upgrade for those seeking the absolute best from their games. For more info please visit our discussion thread right here. Of most interest will be the aforementioned performance improvements. On the GeForce GTX 580, SLI users can expect to receive frame rate boosts of up to 13% in Metro 2033, 8% in STALKER: Call of Pripyat, 7% in Civilization V, 7% in F1 2010, 5% in Crysis 2 with the DirectX 11 Ultra Upgrade enabled, 5% in Lost Planet 2, and 5% in Mafia 2. Single-GPU users will receive improvements of up to 5% in Call Of Duty: Black Ops, and 5% in StarCraft II. On the GeForce GTX 560, SLI users will receive frame rate boosts of up to 11% in STALKER: Call of Pripyat, 7% in Dragon Age II, 7% in F1 2010, 7% in Metro 2033, 5% in Battlefield: Bad Company 2, 5% in Crysis 2 with the DirectX 11 Ultra Upgrade enabled, 5% in Just Cause 2, 5% in Lost Planet 2, and 4% in Mafia 2. Single-GPU users will receive performance improvements of up to 7% in StarCraft II, 6% in Call Of Duty: Black Ops, and 4% in Bulletstorm. Battle Realms: The mini-map is blank. GeForce 400 series, 3D Vision: Stereoscopic 3D cannot be disabled using the IR emitter button. GeForce 400 Series: Company of Heroes – there are thin yellow lines of corruption when played in DirectX 10 mode with Transparency AA enabled. GeForce 500 series: Battlefield: Bad Company 2 – the game stutters in certain maps after several minutes of gameplay. GeForce 500 series: GPU power levels appear to fluctuate unnecessarily while navigating the Firefox browser. GeForce 500 Series: Stereoscopic 3D does not work in windowed mode if Aero is enabled after enabling 3D Stereo. GeForce 500/400 Series: After changing the brightness and color settings using the NVIDIA Control Panel, the settings do not take effect. GeForce GTX 560 Ti: Battlefield: Bad Company 2 – there is corruption on the edges of some objects when Transparency AA is enabled. 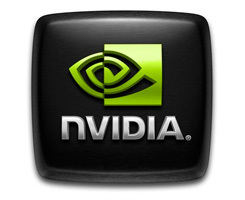 NVIDIA Control Panel: Changes made on the Adjust Desktop Color Settings page are not preserved across a system reboot. NVIDIA Update: Clicking the new driver notification balloon does not open a browser to the NVIDIA driver download page. Instead, the NVIDIA Update window appears. NVIDIA Update: Error message occurs when applying changes made to the NVIDIA Update preferences. Adobe Flash: Blue-screen crash occurs when playing Adobe flash content at HD resolutions and then switching to full-screen mode. GeForce 400 series: Aion – the game performs poorly when SLI is enabled. The Witcher – the game performs poorly when SLI is enabled. Note: If you have problems downloading NVIDIA GeForce 285.27 Win Vista 7 64-bit, please try to stop using your download manager and avoid right clicking on files. Also, check your firewall settings, because some mirrors may require that you do not block the HTTP referrers.